I have been DIEING to blog this session & finally today is the day! 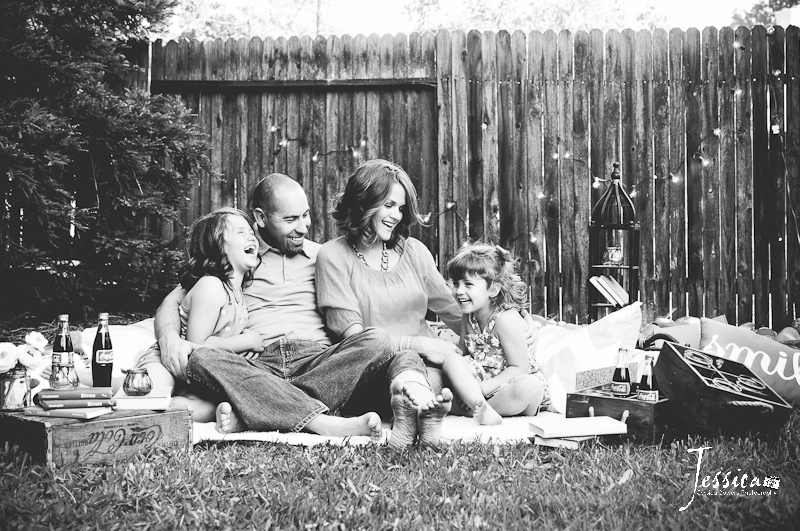 In search fro something different we decided a fun backyard lifestyle shoot was perfect for this family. This mom is a fellow photographer friend of mine & our hobby/ business has connected us & I’m so glad it has. It was a nice low key spring evening. Her backyard was beautiful on it’s own but we added a little flare. Her girls did great. Being a photographers child it is hard to get over the “looking at the camera” thing… we actauly wanted them as natural as possible. I heard the next morning her youngest told her mom how much fun she had during the shoot. What an awesome thing to hear. I think it showed that the kids were having fun. This shoot was a lot of fun. It was fun to collaborate with her on the set up & theme. They read books together often and I hear Daddy is a Coke fan. It was fun to add a little retro fun to the shoot. This was her favorite picture from the session, she texted me a picture of it hanging over her mantel. It pleases me so much to see how people display my artwork.